April 22, 2011, New York, NY — In Ray Kurzweil’s post-biological world, boundaries blur between human and machine, real and virtual. World hunger and poverty are solved, human aging and illness are reversed and we vastly extend longevity. 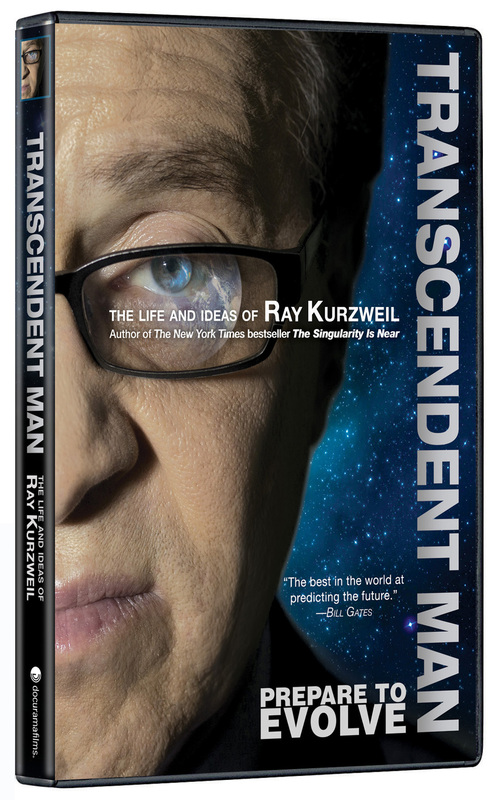 Barry Ptolemy’s compelling feature-length documentary, TRANSCENDENT MAN, chronicles the life of one of our most respected and provocative advocates of the role of technology in the future. Docurama Films’ new release will be available for the first time on DVD on May 24, following a worldwide festival tour and a Digital/VOD release in March 2011. In his film, director Barry Ptolemy follows Kurzweil to more than 20 cities and 5 countries as he presents the daring arguments from his bestselling book, The Singularity Is Near: When Humans Transcend Biology. Kurzweil predicts that with the ever-accelerating rate of technological change, humanity is fast approaching an era in which our intelligence will become increasingly non-biological and millions of times more powerful. Within 25 years, computers will have consciousness. Humans will merge with their machines. These predictions make Kurzweil a prophetic genius to some, and a “highly sophisticated crackpot” to others. There is no question, however, that he has predicted the future with more accuracy than anyone else in history. 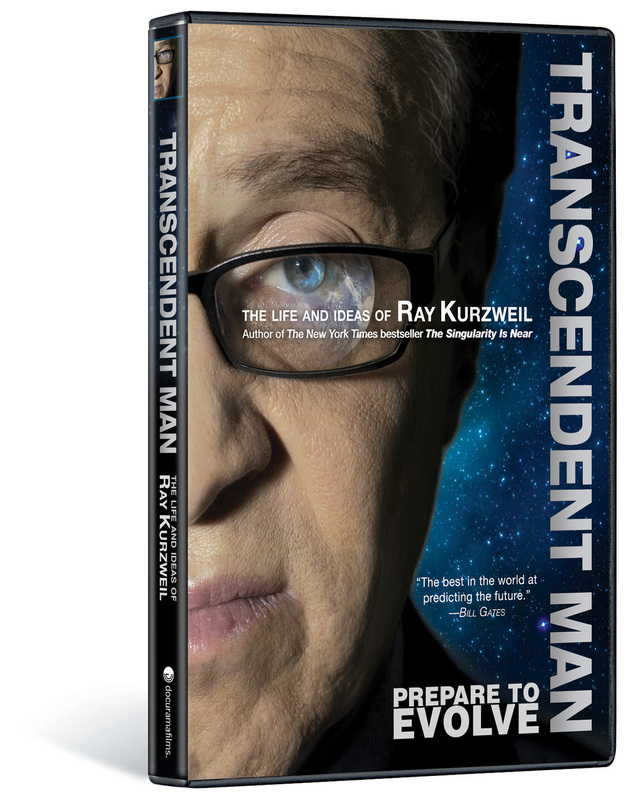 TRANSCENDENT MAN explores the social and philosophical implications of Kurzweil’s predictions and the potential threats they pose to human civilization through dialogue with Colin Powell; technologists Hugo de Garis, Peter Diamandis, Kevin Warick, and Dean Kamen; journalist Kevin Kelly; musician Stevie Wonder, and William Shatner. Award-winning composer Philip Glass contributes original theme music. 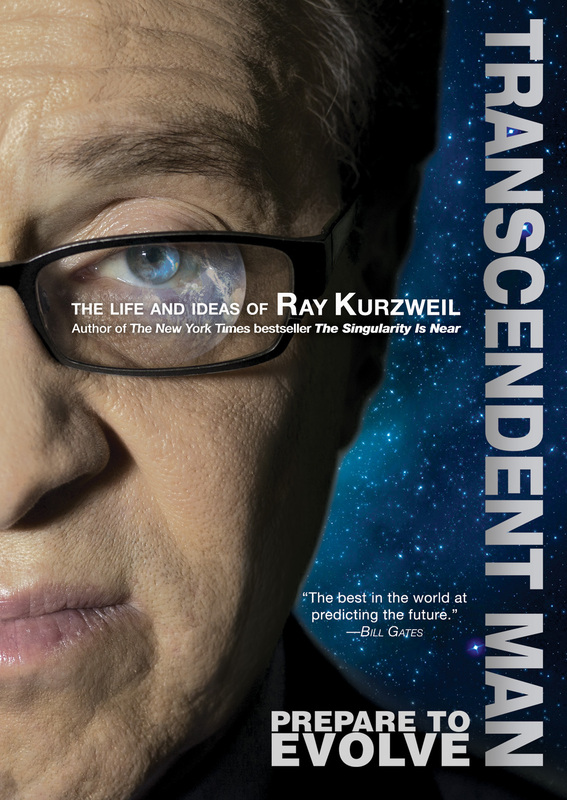 Ray Kurzweil is one of the world’s leading futurists, with a twenty-five year track record of accurate predictions. Called the “restless genius” by The Wall Street Journal and “the ultimate thinking machine” by Forbes, Kurzweil was selected as one of the top entrepreneurs by Inc. magazine, which described him as the “rightful heir to Thomas Edison.” Inventor of the first CCD flat bed scanner and many other technology firsts, Kurzweil was inducted into the National Inventors Hall of Fame and has received the National Medal of Technology, the Lemelson-MIT Prize (the world’s largest for innovation), 19 honorary doctorates, and awards from three U.S. presidents. TRANSCENDENT MAN is directed by Barry Ptolemy; produced by Barry and Felicia Ptolomy in partnership with Therapy Studios; Meg Ramsay, editor; Joe DiSanto, John Ramsay, Wren Waters, Doobie White, Drew Dowdle, John Erick Dowdle, and Oliver Luckett, executive producers.